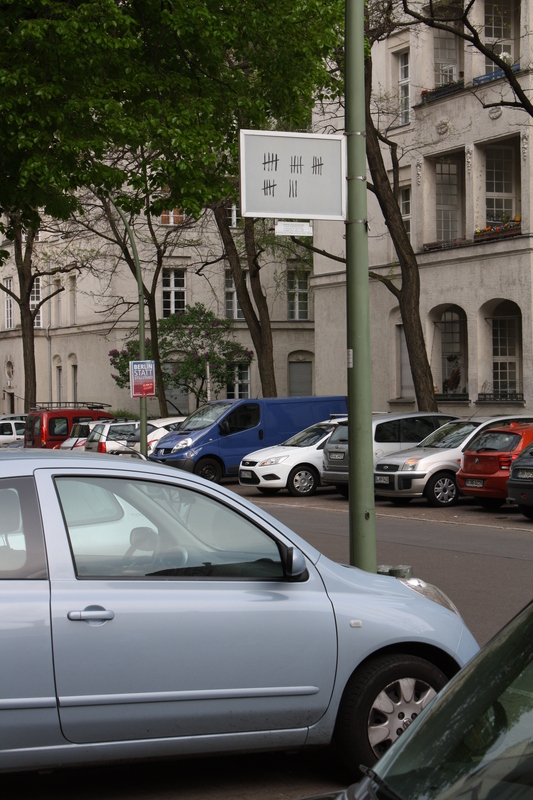 The early Jewish history of Berlin is not much different from that of other European cities. It’s a constant story of short lived tolerance followed by persecution, exploitation and subsequent expulsion. We assume (due to lack of clear evidence) that Jews were settling in the area of Berlin back in the 11th century. At this time Berlin was still a Slavic fisherman village on the spree river. The first mention of Jewish presence in the region dates back to 1237. It was seven years later (1244) that the name Berlin was first mentioned on any official documents. The oldest Jewish grave stone from the nearby city of Spandau was also dated to 1244. In 1295 we see the first documented mentioning of Jews in Berlin. This document was issued by the local weavers’ guild and it stated that non Jewish weavers are not allowed to buy wool from Jews, perhaps an early sign of the grim future to come. There is some evidence to show that quite a few Jews were living within the city walls of Berlin in the 14th century. They mostly lived in an area that could have been blocked off from the rest of the city. This was done in order to protect the Jews of Berlin from the non Jewish locals. At the gate of the Jewish area were paid sentries. The first chapter of Jewish settlement in Berlin ended in the year 1349 when the black plague reached the city. The Jews were blamed of poisoning the wells, in spite of the fact that many Jews were also getting sick and dying. The Jews were forced to leave the city. In the year 1350 the local synagogue and other Jewish property were sold off by the city of Berlin. Six years later the elector prince allowed six Jews to return to the city. The Jews of Berlin were expelled a second time in 1510 after being accused of “desecration of the host” a sacrilegious act in which someone (mostly Jews) damages/steals the “body of Christ”. 51 Jews were sentenced to death and the rest had to leave the city. The rulers of the city quickly invited the Jews to return to the city in order to encourage the local economy. In 1571 the Jews were again expelled after bitter rioting in the city and this time banned “for all time“. It took about a century until Jews returned to the city. The year 1671 marks the beginning of the modern Jewish community of Berlin. This time fifty rich Jewish families from Vienna were invited to settle in the city that was struggling financially after the 30 years war. These families were being expelled from Vienna after being accused of causing the Austrian queens miscarriage. 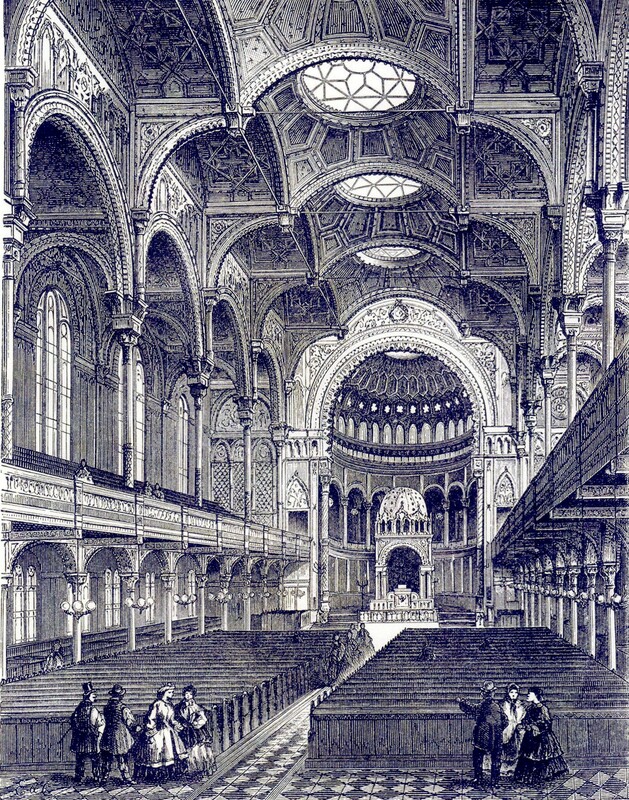 It will be a long time until the Jews of Berlin will receive equal rights, many of the Jews of Berlin chose to convert to Christianity in order to avoid persecution, but slowly and surely the Jewish community of Berlin started building its institutions and even reached a status of wealth and influence in the 19th century. The next expulsion of Berlins Jews took place 270 years later starting in 1941 as a part of the “final solution” to the Jewish “question” in Europe. The topic of early Jewish settelment in Berlin is also addresed as a part of the Jewish tour of Berlin. This entry was posted in Uncategorized on February 16, 2015 by rothdov. In 1989, when the Berlin wall fell, there was an empty strip of land just south of the Brandenburg gate, straight in the middle of what was now unified Berlin. This strip of land used to be a part of the “Death strip” that filled the space between the two actual walls that composed the Berlin wall. The name was given to the strip for the fact that venturing in to that area when the wall was intact was likely to result in an injury and sometimes even death. The Berlin wall was erected in 1961 as a part of the Soviet – American conflict also known as the Cold War. Before the wall was built this area was covered with the rubble of what used to be Berlins government quarter. The strip of land to the south of the gate used to house the Nazi ministerium of foreign affairs. And a couple of hundred meters to the south of it, the Reichskanzlei (The prime minister’s office) and the famous Hitler bunker. The collapse of the Soviet Union and the reunification of Germany marked a time of rebuilding but also of coming to terms with history in unified Germany, and a part of that past was also the Third Reich and the extermination of the Jews of Europe. A local journalist by the name of Lea Rosh decided to gather support and funding for a central monument to the murdered Jews of Europe. After a long struggle she managed to achieve exactly that. The German government agreed to build this colossal memorial in the center of Berlin in a whopping cost of 25 million Euros. The designer of the monument is the architect Peter Eisenman (of Jewish American descent). The monument spans 19,000 m2 (4.7-acre) and presents 2,711 concrete slabs. The slabs vary in height from 0.2 to 4.8 Meters (7.9 in to 15 ft 9.0 in). The number of slabs doesn’t seem to have a symbolic meaning. Located under the monument is a small but impressive holocaust museum. Six of the slabs penetrate the roof of the museum from above. Eisenman is considered a deconstructivist architect, which means he wishes to create meaning by designing chaos with different architectural means. 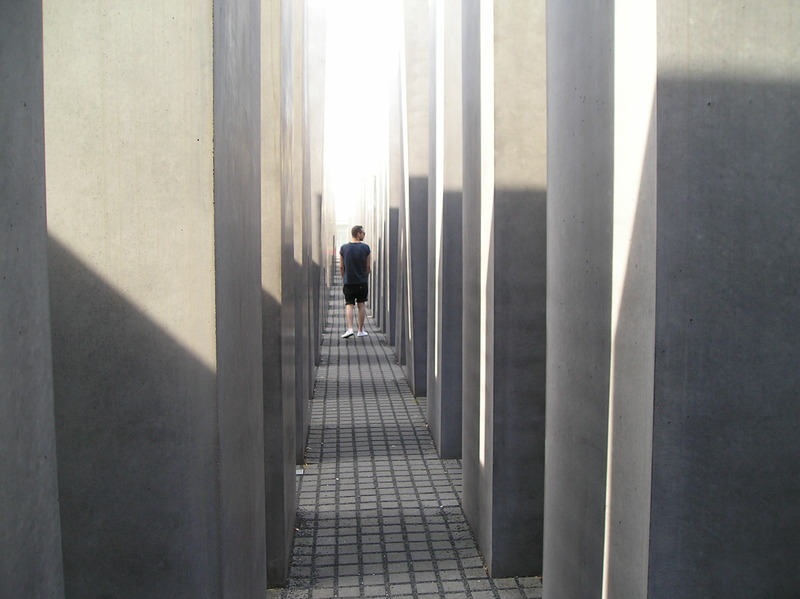 The monument is a part of the Jewish tour of Berlin. This entry was posted in Uncategorized on January 22, 2015 by rothdov. In the Jewish quarter in Berlin one might encounter an impressive looking abandoned house. The entry is completely closed and only a small sign on the wall next to its entrance tells the story of what this building used to be and what it meant to the Jewish kids that found sanctuary in it. During a very turbulent time in Berlin’s history. The house in the Auguststarße 14-16 was built in 1861 as a Jewish hospital and was operating as such until 1914 when the hospital was moved to a larger building elsewhere. In 1914 the building was reopened as a soup kitchen for the poor members of the Jewish community of Berlin. After the First World War, there was a growing rate of Jews arriving to Berlin from Eastern Europe escaping the pogroms. Many of them were poor and some kids also arrived without their parents. 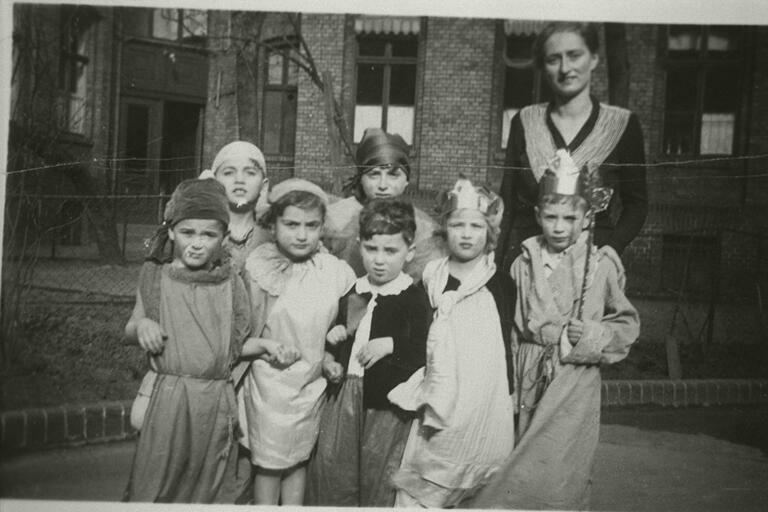 And so in 1918 the house became a Jewish orphanage where these kids could find refuge and receive an education. In 1922 the management of the orphanage was given to a nurse by the name Beate Berger. In 1933 with the Nazi rise to power, Beate decided to move the orphanage to then mandatory Palestine, knowing that Germany was no longer a safe place for Jewish children. In 1934 the first group of kids was already transported to its new home near the city of Haifa. 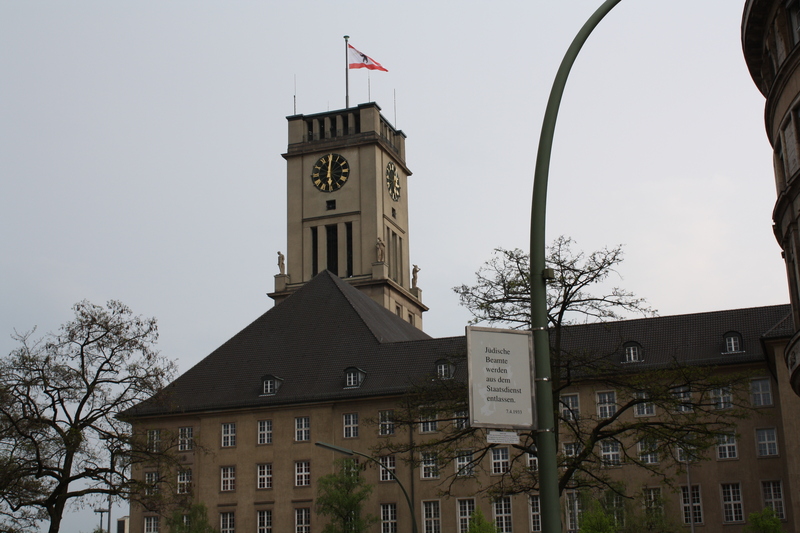 The British mandatory administration did not allow the transfer of all of the kids that were living in the home but nevertheless Beate was able to transfer about 300 kids to safety in Palestine until 1941, when leaving Germany became illegal for Jews and the first transports to the concentration camps left Berlin. Beate passed away in 1940 and was buried in the Mount of Olives in Jerusalem. In 1941 the house was confiscated by the Gestapo and turned into an internment camp for Berlins Jews. The kids that were staying there at the time were all sent to the concentration camps in Eastern Europe. After 1945 the building was not returned to the Jewish community and was used as a local boarding school. In 2007, a documentary film (German/Hebrew) by the name of “The house on Auguststraße” was released telling the story of the house. The movie was directed by Ayelet Bargur whos grandpas sister was beate Berger herself. The house now stands abandoned with its windows boarded shut with no known plans for renovation. You can find it in the Jewish quarter of Berlin (Auguststarße 14-16 ) and it is also a stop on the Jewish heritage tour of Berlin. This entry was posted in Uncategorized on January 15, 2015 by rothdov. In 1933 there were 160,000 Jews living in Berlin. This flourishing community was well integrated in all walks of life and many of its members inhabited most of the neighborhoods in the city. One of these neighborhoods was the famous middle class Bavarian quarter that housed around 10% of the Jewish community at the time (around 16,000 people). Among them was also the world famous Albert Einstein. The neighborhood was mostly middle to high class and had wide elegant parks and boulevards with small picturesque cafes. This neighborhood underwent a dramatic shift in its demographics in 1933 when Hitler came to power. As most of berlins Jews decided (around 80,000) to escape Germany between the years 1933 and 1939. Unlike most of berlins synagogues that were burned to the ground on the “Crystal Night “ of 1938, the lavish synagogue that stood in Bavarian quarter was spared because it stood adjacent to housing blocks which the Nazis did not wish to harm. It was then later destroyed in the allied bombings. In the years after the Second World War the Bavarian quarter as of much of Berlin was rebuilt but the Jewish community never returned to reclaim it. In the early 90s a local initiative emerged from the German inhabitants of the Bavarian quarter to create a project that would commemorate the quarters Jewish past. The project took on the name “Places of Memory” and the idea behind it is until today considered quite revolutionary. 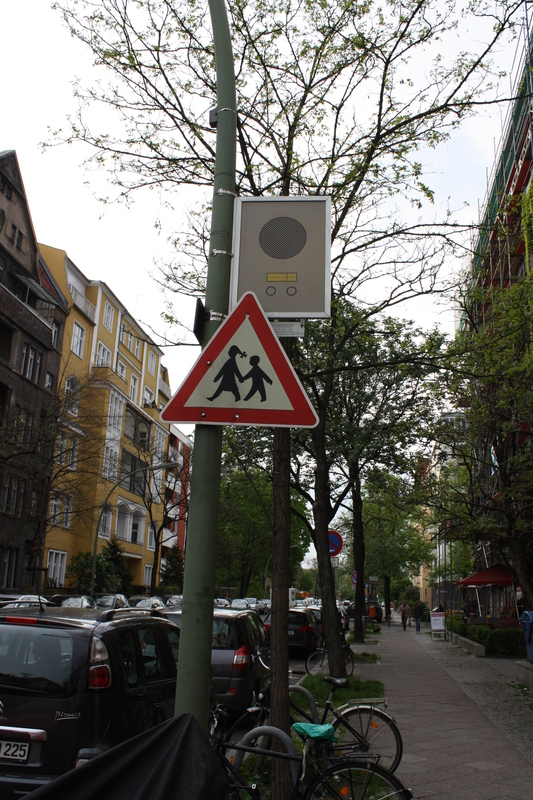 Different poles and street signs in the quarter were chosen and a metal plaque was added to them. These plaques had two sides. The one side had a pictogram and the other a text. The pictograms and the texts are either laws enacted against the Jews of Germany between the years 1933 and 1945 as well as texts from diaries that was written by Jews that were living in the quarter at the time. The signs are integrated in to the urban texture making a walk through the quarter to a voyage though a part of the history of this unique place. Some of the signs were also placed next to relevant landmarks that are being referred to in the texts. For example a sign that quotes a law that states that all Jewish property will become nationalized is situated in front of a working bank building. The Bavarian quarter, as well as other sites that are significant for the Jewish story of Berlin is a part of the Berlin Jewish heritage tour. This entry was posted in Uncategorized on December 15, 2014 by rothdov. You can also message or call me using WhatsApp. Planning a trip to Berlin? Feel free to contact me for any information you might need. Make sure to state your specific interests and where you would be staying so that we could tailor a tour that fits your needs. What people say about the tour. I just wanted to say thanks so much for giving us such a fascinating day when you guided us last week. Your knowledge was incredible and the 'narrative' of the day made for a very powerful experience. As you said, it's difficult to conduct a tour around a world that has vanished, but your eloquence truly helped to bring the past to life. Thank you for being a terrific guide during our trip to Berlin recently. We came from Australia having never travelled to Berlin. 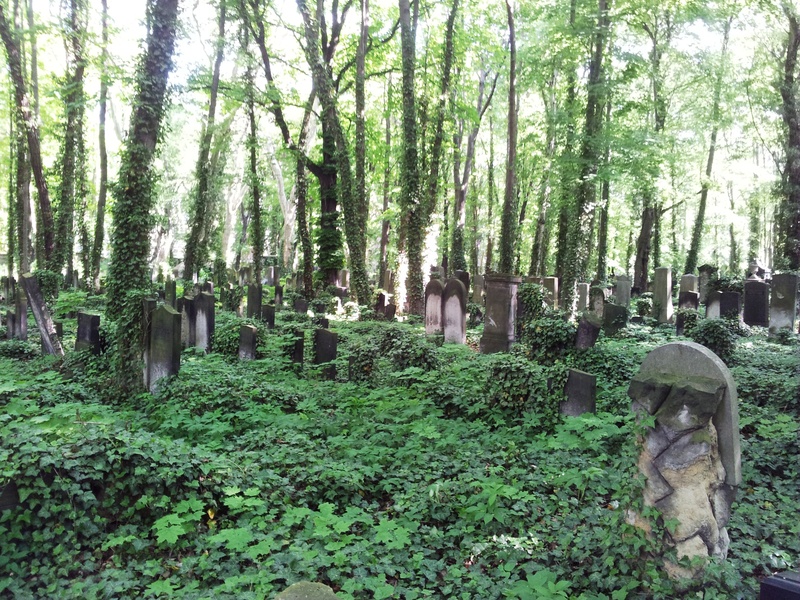 You gave us an excellent and informative walking tour of “Jewish Berlin” incorporating history through the generations . In doing this we learnt so much about jewish history and places of interest, with reference to WW2 and well before. In addition to this, your knowledge of the museums and places of general interest of a more general kind was incredible, and we appreciated how much time and effort you put into answering our questions, and offering us information. 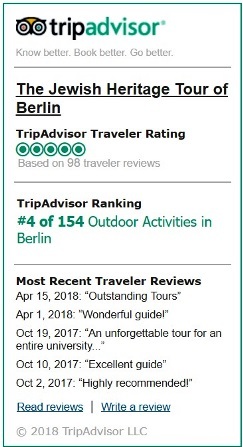 We felt that you were honest, reliable and interesting to listen to and would definitely contact you in the future and send people traveling to Berlin too you. Berlin is layered, rich in nuances and history. To really understand it, you need an expert guide that will take you beyond and explore the city’s possibilities. For my husband and I that was Eyal. We did 2 walking tours; one of Jewish Berlin and one an overview of the city. He was able to give us the context and history that allowed us to appreciate Berlin. He is knowledgeable and approachable and we highly recommend him. Thanks a ton for the tour. While people say, it is two Israelis, three opinions…well, we had four Israelis and one opinion…that you were great.